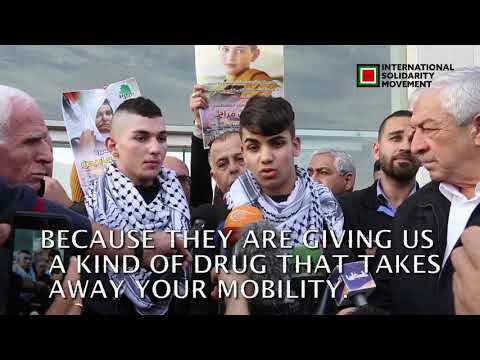 In December of 2015, Shadi Farah and his friend Ahmad Zaatari, ages 12 and 13, respectively, were abducted by Israeli soldiers, at a bus stop in Jerusalem. A group of illegal East Jerusalem settlers called police to investigate the two boys, suspicious of their ethnicity. In the ensuing process of arrest, interrogation and abuse, Israeli police proclaimed that the two boys had gone to Jerusalem with the intent to stab a soldier, and subsequently charged them both with attempted manslaughter. 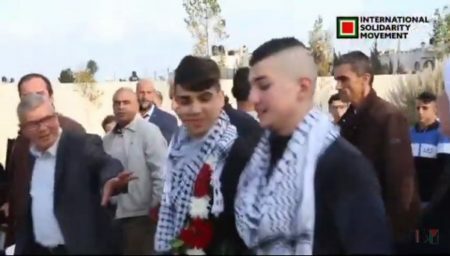 Though the evidence was slim, the boys reportedly confessed after several days of abusive questioning, with no lawyer or parent present, and a lone witness was produced to claim the boys had been talking about stabbing soldiers at their school. And, in the he-said-she-said world of Israeli courts, any evidence is enough to convict a Palestinian. After three years, the boys have finally come home.